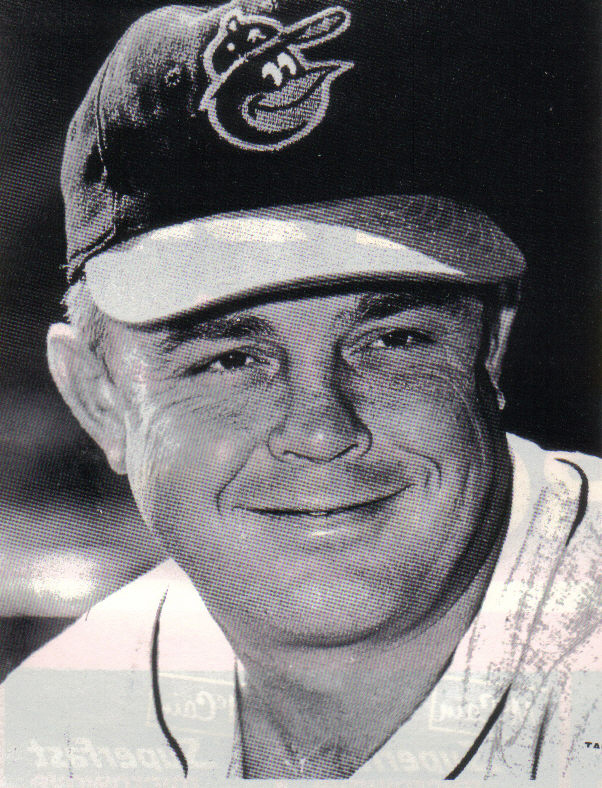 Hall of Fame manager Earl Weaver’s most costly tirade came on September 15, 1977 at Toronto’s Exhibition Stadium. And as the baseball community mourns the passing of Earl Weaver, who died Saturday of a heart attack at the age of 82, many of those in attendance at Exhibition Stadium on September 15, 1977 still reminisce about the most costly tirade of the Hall of Fame skipper’s career. A master strategist and fiery motivator, the 5-foot-7, 180-pound Weaver could also be irascible and stubborn. And his extended argument with umpire Marty Springstead in this game, resulted in the first – and only – deliberate forfeit by a big league team since 1914. (There have been four other forfeits since 1970, but they were all a result of unruly fans). To set the scene, Weaver’s Orioles had won the previous three games of this four-game series against the expansion Blue Jays and trailed the first-place New York Yankees in the American League East division by just 2-1/2 games with 17 contests remaining. On this dreary night, however, Jays rookie Jim Clancy had shutout the Orioles through five innings. With a light rain falling since the third inning, the Jays’ grounds crew had placed a tarpaulin over the two mounds in the Jays’ bullpen, which were located about five feet outside of the left field foul line. As the Jays prepared to hit in the bottom of the fifth, Weaver emerged from the O’s dugout and told Springstead that the bullpen tarp represented a danger to his players. Weaver pulled his team off the field and insisted the Orioles wouldn’t play until the tarp was removed. As a compromise, Springstead had the tarp removed from one of the bullpen mounds and explained to Weaver that he could play the game under protest. But this didn’t satisfy the increasingly irate Weaver, who argued with Springstead for close to 20 minutes in front of the 14,675 fans at Exhibition Stadium. At some point, Weaver reportedly asked his players if they were willing to play with the tarp in place. He told reporters that the players unanimously backed his stance, but comments from the players after the game seem to indicate otherwise. Ross Grimsley, the O’s starting pitcher, didn’t seem to support the decision. In Tom Cheek’s book, Road to Glory, he writes that sources told him that Belanger and veteran Brooks Robinson implored Weaver to allow the O’s to continue playing, but to no avail. Springstead, for his part, waited five minutes (the period of time the rulebook requires), after Weaver finally returned to the dugout, for the Orioles to take the field and then ruled the game a forfeit. Weaver said after the game that he planned to ask American League president Lee MacPhail to continue the contest in the fifth inning when the Jays were in Baltimore for a series the following week. But the O’s volatile manager failed to launch an official protest, and without that appeal, MacPhail couldn’t intervene. As per the big league rules, the contest was recorded as a 9-0 forfeit win for the Jays, with the individual statistics from the game counting in the players’ records. Following the contest, Weaver was still hot about what had transpired. “I’m also going to the players’ association to see if we can’t get this bullpen moved into a separate area like they do in big league parks,” said Weaver, conveniently forgetting that bullpens were aligned the same way in parks in Detroit, Cleveland and Seattle. Weaver also took a shot at Blue Jays manager Roy Hartsfield. Hartsfield declined to be drawn into a war of words with Weaver. Weaver was also asked why he would forfeit a game in the middle of a pennant race. “I realize this one game could cost us the championship, but we’ve got 16 games left and I want to go the rest of the way with all of these guys rather than have one or two of them knocked out with some foolish injury,” responded Weaver. The Orioles ultimately finished three games back of the Yankees, so the forfeit did not cost them a division title, but Weaver’s antics that night against a Jays squad that lost 107 games in 1977 is considered one of the low-lights of his career. Yes, there was something to be said for Weaver – who guided the Orioles to a World Series title and four American League pennants in 17 seasons as manager – attempting to protect his players, but if his players did, indeed, want to finish the game, it seems like Weaver’s pigheadedness got the best of him. Then again, wasn’t that part of Weaver’s charm? The sparkplug skipper was almost as entertaining as he was successful. And Blue Jays fans at Exhibition Stadium on that dreary September night, supporting a team that was destined for 100 losses, were treated to the most costly and historic tirade of the Hall of Fame manager’s career. *Much of the information in this blog entry came from an article written by the great Allan Ryan in an article that was published on page B1 of the September 16, 1977 edition of the Toronto Star. A good friend of mine and I were just talking about this and Musial last night over dinner. He said that, if Stan Musial had been in NY, he would have been bigger than Babe Ruth. 24 All-Star games in 22 years! The Yankees would have made him a god. He was at the game with Weaver. He said Springstead walked from first base in the rain all the way along the first base line to the right field corner and then back with Weaver following him screaming and Marty ignoring him. When they asked Springstead the next day why he did that, he said that he wanted to see what Weaver would do and that Weaver made himself look foolish by not walking away. Such is history. Thanks for the kind words, John. I agree with you about Musial. A true legend. I wish I had some video of Weaver’s tirade at Exhibition Stadium. There is a YouTube video out now, “1977 TWIB 09 20 77”, where Mel Allen provides a description of the incident, along with a brief clip of the argument, beginning at 6:15. I have to say, though it’s hard to imagine forfeiting a game in a pennant race, that tarp does look dangerous. Trying to think of the other four forfeits you refer to, and can only come up with three: The Senators last game in Washington in ’71, Disco Demolition Night in ’79, and the game in LA in ’95 where the fans threw souvenir balls on the field to protest a call. Thanks very much for your comment and the link, David. Ten Cent Beer Night in Cleveland in ’74. I had heard of it, but didn’t realize it was a forfeit. Retrosheet tells me it was. Thanks for doing this research, David. The Blue Jays must have fixed the bullpen situation by 1979. We watched a game from the left field bleachers and I remember Paul Mirabella warming up in an enclosed bullpen. It was a summer afternoon game during the CNE and we were seated high up enough that we could see into the Blue Jays bullpen. I would guess the right field line had a pen for the visiting team. I have fond memories of Exhibition stadium. Things must have been not quite ready in 1977. You are right about the Tigers pen. I’m not sure how they got away with that set-up for all those years. Thanks for the comment, Dave. Paul Mirabella, there’s a name from the past. I wonder what he is up to these days. I really enjoyed reading this story, Kevin. Well written. Thanks for the kind words. It’s too bad I don’t have the video. That would be entertaining. So many different stories come from major league baseball and you hear or see something new everyday. I never heard this story before. So many thanks for sharing. There will never be another Ear Weaver that’s for sure. Thanks for the comment, Devon. You’re right. There will never be another Earl. Another great story Kevin. He sure was entertaining to watch and ready about. Earl will be missed dearly. Thanks, Scott. Yes, I wish that I was there for Earl’s epic tirade at Exhibition Stadium. John S. provides a great description of it in his comment.